The Master of Education (Tertiary Education) is designed to help you enhance the effectiveness of your teaching and assessment. 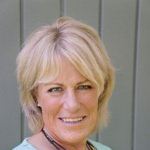 Dr Christine Pritchard has experienced almost 30 years in the tertiary education sector, as a manager, teacher and student. Christine also achieved the accolade of being the first Massey University student to complete bachelor’s, master's and doctorate degrees specialising in adult education. After teaching in the tertiary sector for a number of years, Christine expressed a desire to climb the management ladder in the institute where she worked. She was advised to gain higher level qualifications in adult education. As a result she studied for a Bachelor of Education majoring in adult education, graduating in 2004. “Why did I choose Massey University? I had previously completed a Graduate Diploma in Adult and Tertiary Education with another university but moved to Massey because I believed the expertise of its tutors were second to none in New Zealand. It was a move that was one of the best decisions of my life”. Christine completed her master’s in 2008 and her doctorate in 2012. All her degrees were completed while working as she progressed from a tutor to a senior manager. Since graduating she has worked in the Cook Islands to set up a new tertiary institute. Christine has undertaken the role of Academic Manager & Student Support. “Setting up a Quality Management System from scratch has been challenging but a hugely rewarding process. I look back and see how far the institute has come and it gives me much pride. Without the skills that studying at Massey has given me I doubt that I would have been in a position to tackle such a daunting task”. The Master of Education (Tertiary Education) leads to a variety of tertiary teaching opportunities, in formal and non-formal education contexts. Your skills and teaching knowledge will be valued. Where will your knowledge and skills take you with a Master of Education (Tertiary Education)?